Summer is upon us and so are the county fairs, festivals, races, and more. Setting up a vendor booth at these local summer events is a great way to get your company name out there and what better way to do that than with custom shirts printed with 3D raised embroidery .With thousands in attendance, you have unlimited opportunities to introduce yourself, your company, your sporting team, etc. to new people. But the problem is that your booth is not the only one there. Your competitors are also present and bidding for the same audience and hoping to hold their attention. So what the heck do we do then to stand out? Well, the answer to is actually quite simple…just offer the better freebies, easy right? Event goers LOVE the freebies, but honestly who doesn’t love free stuff? So, what freebies can help set you a part of the competition who is probably handing out pens, notepads, lanyards, etc.? 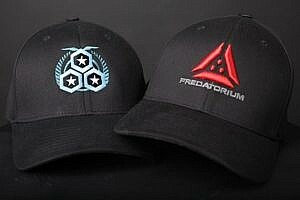 Custom printed Free hats, t-shirts, bags that sport your logo in 3D raised embroidery print, that’s what! Custom printed 3D embroidered items are the “big fish” item in the vendor giveaway pool, ensuring that you will stand out. Having your logo on a baseball cap or nice canvas tote in beautiful raised puffy letters is sure to get you noticed, as your logo/lettering will literally stand out! So, have you been convinced that you need some sweet swag with printed with 3D raised embroidery letters? Perfect, that was our goal. 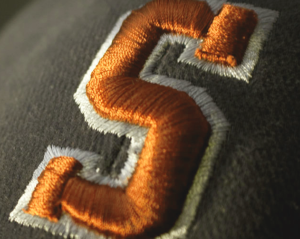 Now it’s time to order, contact us today to learn more or place your 3D embroidery swag.